Wasundhara means “caring earth,” and for WOTR it also means WOTR Attentive to Social Unity for Nature, Development and Humanity in Rural Areas. 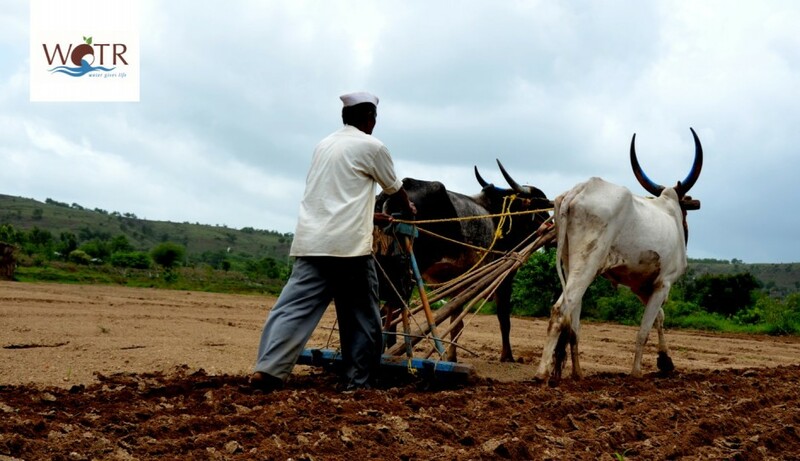 Wasundhara represents a paradigm shift, putting the responsibility for development in the hands of not just development practitioners but of the villagers themselves. The women and the poor need to be empowered for decision making during development initiatives. On the ground, this starts with being inclusive in outreach – incorporating the poor and the women into decision-making processes by establishing proportionate representation in the Village Development Committee (VDC). The VDC, though independent of the Village Panchayat, works along with it making the Panchayat more accountable, responsive and democratic in its decision making. Villagers are divided into four different categories (household wealth ranking) – very poor, poor, medium, and better off. This facilitates proportionate representation to the VDC from different social strata. Half of the committee must be women. The committee plans and oversees implementation of important watershed development components, such as shramdaan (local contribution) and ban on free grazing and tree felling. It supervises and monitors watershed development work and pays villagers for their labor out of a central village bank account. As it represents all groups of villagers, it helps make a development plan that meets the needs of everyone. The household wealth ranking also facilitates differential contribution and equitable distribution of benefits. Meanwhile, self-help groups (SHGs) organized into the apex body Samyukt Mahila Samiti (SMS), give village women the opportunity to improve their lives through economic growth. Improving economic prospects within the locality helps repair the social fabric torn by migration. The water availability due to watershed development gives the village communities a chance to continue agriculture and stay at home with their families. The children, who might otherwise have to migrate as well, can stay home and get a stable education. Lastly, the Wasundhara Approach makes connections with local governance that fulfill the promise of village democracy. In most villages, people don’t demand or know their rights regarding the Gram Sabha and Gram Panchayat, meaning they forfeit their rights as members of a democracy. Villagers passively watch decisions tobe made instead of contributing to them. But this changes when WOTR brings the Wasundhara Approach because full participation, especially by the marginalized people, is one of its four pillars. A village water management committee or a team of Water Stewards, who promote and ensure effective management of local water sources. Jal Sevaks – local youth trained as para-technologists for water management. They motivate the Water Stewards as well as farmers and help prepare and implement Water Management Plans at the village and farm level. Water Management Plans prepared by undertaking Water Budgeting exercises. A customized Water Budgeting (WB) tool enables villagers to estimate water availability and plan cropping patterns and water-uses accordingly. Villagers monitor daily rainfall through rain gauges and use the data to better manage their crops and estimate the next cropping season’s water availability. Several Automatic Weather Stations (AWSs) have been installed in some of the villages to provide weather-based crop specific advisories to farmers to reduce crop losses and improve productivity. Multi-stakeholder engagements involving villagers, service and technology providers, local and state level government officials and researchers are regularly organized to promote cross-learning, increased access to technology and resources, a shared understanding of problems and a consensus on solution pathways. The inclusivity in the development activities can be seen across a diverse array of WOTR projects. Entering its 25th year, WOTR would like these values to be its guiding light. Together with the information and knowledge that is provided to the villagers, the protagonists of the development activities (the village communities) are encouraged to keep sustainability in mind and work towards the creation of ‘wholeness’ in their lives.